Typically, when we think of neutrals, we think black, white, brown, taupe, olive, navy, and gray. “Boring!” might also be something that comes to mind. But these muted beauties are anything but, especially when paired with bright, bold patterns, tactile textures, and sophisticated accessories. Here’s how to wear neutrals in a way that speaks volumes without shouting. Animal prints are essentially a neutral pattern, but they can also be used to add uniqueness and interest to an otherwise tame look. Start with pieces that are in the same color family but are made of varying textiles like stone-washed denim and pebbled leather. Then, just add a plush velvet mule, and tie the look together with a leopard-print top. If you think neutral means you have to forego color, think again. The trick is to pair colors that complement each other, such as brown and orange or gray and violet. We think camo partners nicely with neutrals as well, especially in the once-military-only olive/khaki combo. Add stylish leather kicks and a versatile beige backpack and you’re head-to-toe ready to go. 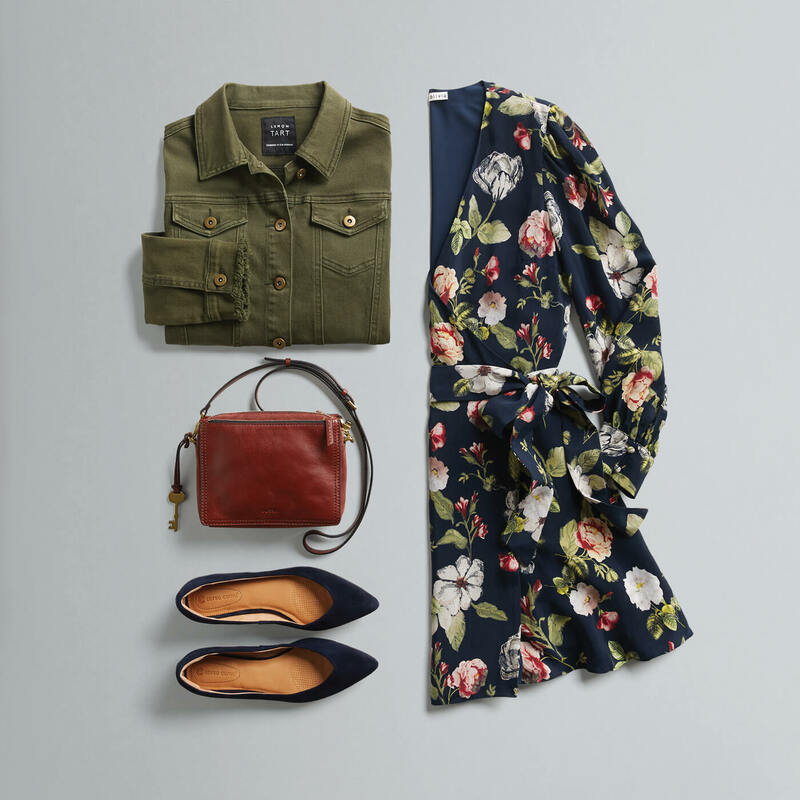 We love getting–and wearing–flowers. Who doesn’t?! But how to work them into your wardrobe? We suggest letting the floral pattern be the star and grounding it with shoes in a neutral earthy hue. 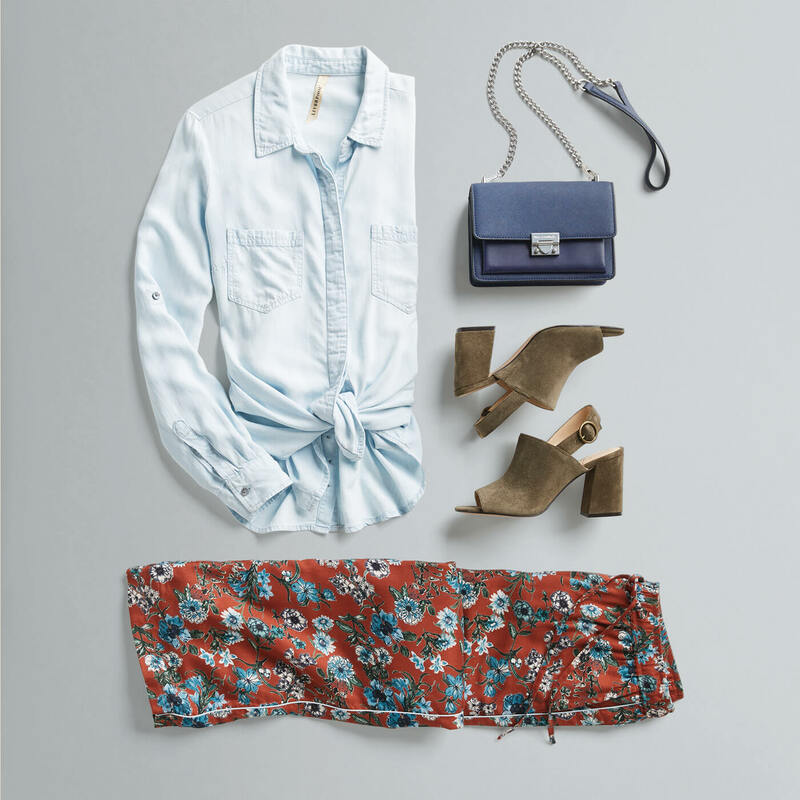 Top a pair of wide-leg pants with a chambray shirt in a color pulled fresh from the garden palette. 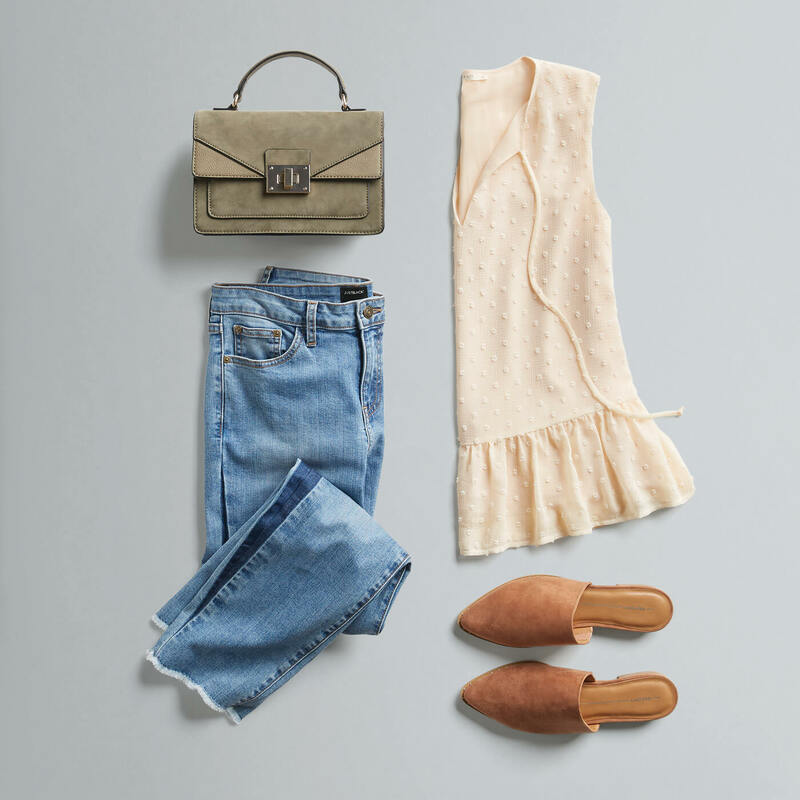 From muted moss to faded blue, soft sand to burnt orange, earth tones hit the smart-casual sweet spot, making them the perfect go-to for everything from date night to Sunday brunch. This all-occasion palette works well year-round, too. Not only are they elegant on their own, but neutrals are an easy way to make other colors or patterns pop. On the other hand, if you want to downplay bold, bright pieces that may be too loud on their own, neutrals in dark shades, such as midnight black, chocolate brown or olive–can do the trick. Ready to make neutrals part of your new look? Schedule a Fix and ask your Stylist to send you a boxful of these not-at-all-blah wardrobe workhorses.